The Smackover-Norphlet School District recently had a video made to use in advertising our school district. The premier of the video was held during the School Board of Directors meeting last night. Posted in Buckaroo News on February 28, 2017 by The Buckaroo Blog. National Read Across America Day is Thursday, March 2nd. Smackover High School students may bring their favorite book, magazine, or whatever they want to read to the library at lunch. We will have snacks to munch on and read, read, read…….If you feel like sitting down and reading for about 15-20 minutes, please come and join us! Posted in Buckaroo News on February 27, 2017 by The Buckaroo Blog. Posted in Buckaroo News on February 24, 2017 by The Buckaroo Blog. The counselor will discuss scheduling with the students. Mr. Walker’s middle school band students will present a mini-concert. A tour of the campus will be given. Click on the links below to access the breakfast and lunch menus for the cafeteria for the month of March. 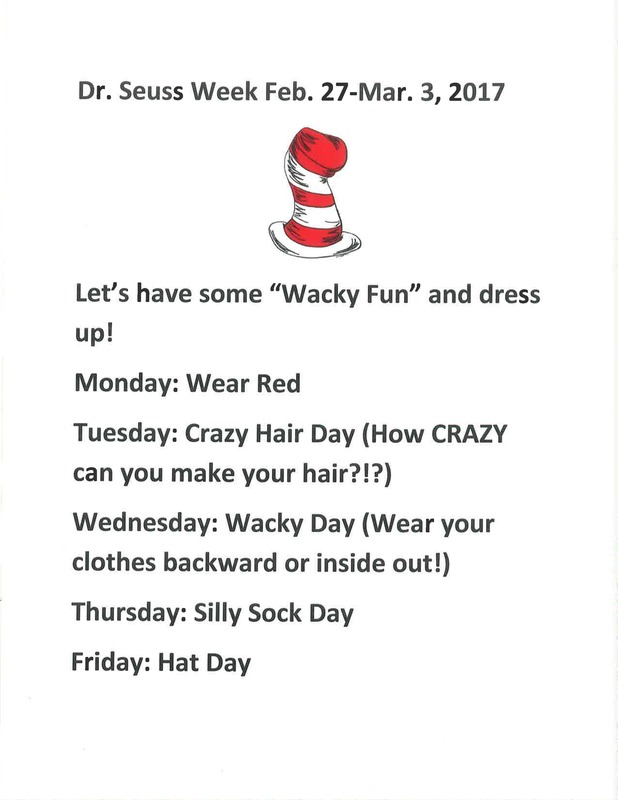 Be sure to check out what is being served on March 2nd (Dr. Seuss’s birthday)! Posted in Buckaroo News on February 22, 2017 by The Buckaroo Blog. The Smackover Elementary School book fair was a huge success! Library media specialist, Mrs. Weaver, would like to thank the following people for a successful and FUN “Lasso a Good Book” book fair. Staff, Students, and of course – Parents! Posted in Buckaroo News on February 21, 2017 by The Buckaroo Blog. School will be closed on Monday, February 20, in honor of President’s Day. Posted in Buckaroo News on February 17, 2017 by The Buckaroo Blog.